Needing to replace an old garage door opener? Overhead Door Company of Lubbock has some of the best garage door openers in the industry. 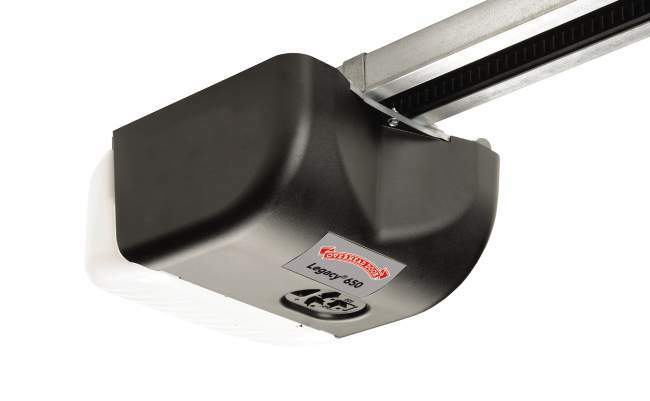 Our Overhead Door® garage door openers are assembled in the USA. Need to find out which garage door opener is right for you? Give us a call today! Looking for a garage door opener with longer electrical cord? The Legacy 650 and Legacy 850 belt and chain garage door openers are both offered with a 6’ power cord for applications with a high ceiling or power source that's away from the unit. When you are looking for a company that stands behind their products and offers instructions and advice, you've come to the right place. You'll receive nothing but the best when it comes to friendly, helpful service for your garage doors and operating systems.